Cookies were set at www.cttaviation.aero on October 7th, 2018. 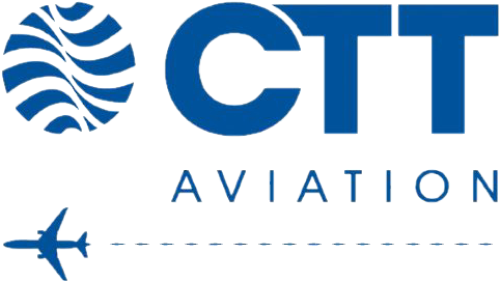 In this Cookie Settings notice (“cookie” or “cookies”), “CTT Aviation”, “we”, “us” or “our” means CTT Aviation Limited (a company incorporated in Cyprus, with registration number HE 39193, and principal office at Panteli Katelari 14, CY-1097 Nicosia) and its trade name CTT Travel Services (TM) and affiliated business partners and associates collectively; “you” or “your” means you, the person who is accessing online information through www.cttaviation.aero, www.cttaviation.com, www.ctt-travel.com websites. What is a cookie and how do cookies work? Cookies are an important part of the internet; they are small bits of text that are downloaded onto the devices you use to view online information. Your browser makes cookies available every time you visit a website and allows it to identify you and your online activity so that it can track, map and tailor what you see on your device. Cookies make for targeted online content and have useful effect on important features of websites; they are used for many different purposes, such as (1) provision of content you request to view with regards to your online activity and preferences (2) to helping devices download or stream information, so you can browse websites and use their features according to your online activity. We like to monitor behavioural activity within our website and measure our productivity and effectiveness, so that we provide information relevant to you and the market segment we are targeting to exhibit, offer, promote and sell our products and services to. Identifying trends on how people navigate our website, allows us to improve our products and services; a group of cookies, often called 'analytics cookies', is used to gather this information. The information collected by analytics cookies is grouped so that we can see the overall patterns of usage behavioural activities and take necessary actions of bettering our productivity and effectiveness. Analytics cookies are used to improve how an application, a website and its pages work. Applications, web locations, websites and communications you get from us contain small invisible images known as 'web beacons' or ' pixels', which are used to count the number of times a single page in our website has been viewed and allows us to measure its content effectiveness accordingly. We want to be fully confidential with our cookie settings, thus, we do not sell personal data collected from cookies to any other organisations or individuals. You may choose not to receive behavioural website activity and/or online advertising content by managing your cookies. Choosing to restricting cookies, may result to limited viewing of preferred content and/or online advertising; for example, you may choose to restrict the number of times you're shown a particular online advertisement; this action is sometimes called 'frequency capping' and gives you the possibility to decide what to view online by giving you access to cookie tools. Social-media sites such as Facebook contain such features. Virtually all modern browsers allow you to see and manage cookies saved and to clear them individually or all of them at once. To find out how to do this, go to www.aboutcookies.org which contains comprehensive information on a wide variety of desktop browsers.